The vessel that you board on the morning of your trip is the same boat, with the same passengers & crew for the duration of your trip. The vessels carry only 32 passengers and the itinerary allows for a total of up to 11 dives, 2 of which are night dives (weather permitting). Snorkellers are certainly welcome onboard and can enjoy unlimited snorkelling. Cabins onboard are all twin share (2 x single bunk beds) with 2 double cabins (1 x double bed). Double cabins are on a request basis at the time of making the booking. All cabins have shared bathrooms. 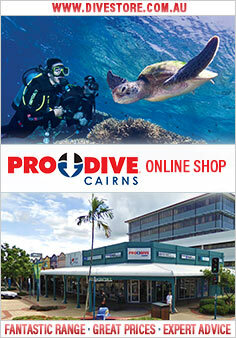 Enquire about our Cairns Liveaboard Diving Adventure Package. Package includes 4 nights accommodation and prices start from $845 per person twin share.